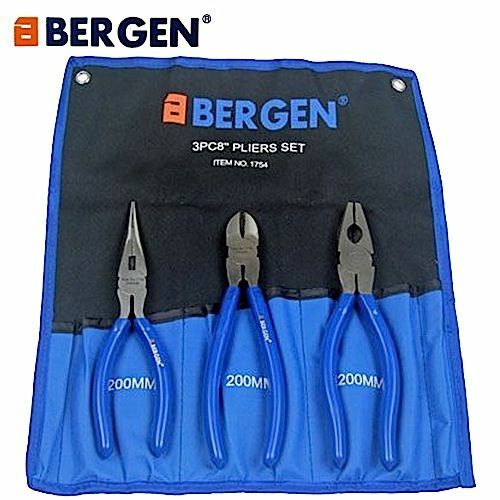 Bergen Tools 3pc 8’’ (200mm) plier set. 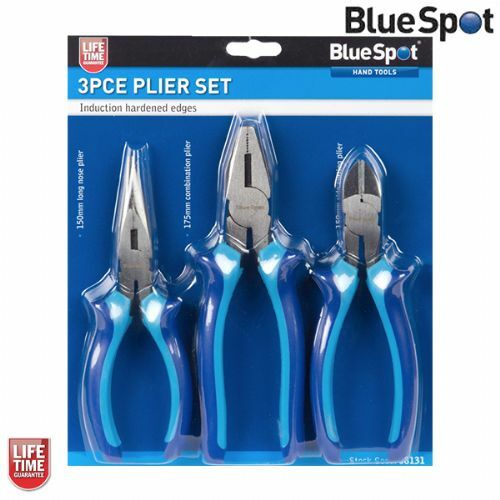 This professional plier set includes 1 x combination plier, 1 x diagonal side cutting plier and 1 x long nose plier. Manufactured to a high specification from Chrome Vanadium providing strength and durability. Drop dipped handles for comfort and a sure grip.